Kaiser Permanente will be tested to repeat the record $1 billion in operating income it posted in the first quarter. After all, the Oakland, Calif.-based hospital and managed-care giant is swimming against the same national trends that dented the earnings of investor-owned hospital chains in the second quarter. HCA, Community Health Systems and Universal Health Services have all complained of falling hospital admissions and fewer newly insured under the Affordable Care Act exchanges and Medicaid expansions in 32 states. But Kaiser has a potent weapon beyond its size and economies of scale, according to Kaiser Chief Financial Officer Kathy Lancaster. Kaiser can earn $1 billion of operating income in a quarter—an eye-popping number for any healthcare system let alone a not-for-profit—because it knows its patients and has regular contact with its 11.7 million health plan enrollees, said Lancaster in an interview in May, though she declined comment more recently. "You have to have continuity of membership," Lancaster said. Said a different way, Kaiser has one of the highest rates of membership retention in the industry. Turnover among Kaiser's 8.4 million health plan enrollees in California during the first quarter of 2017 was just 5.8%, far better than the next closest competitor at 8%: Anthem Blue Cross of California, according to California Department of Managed Healthcare. 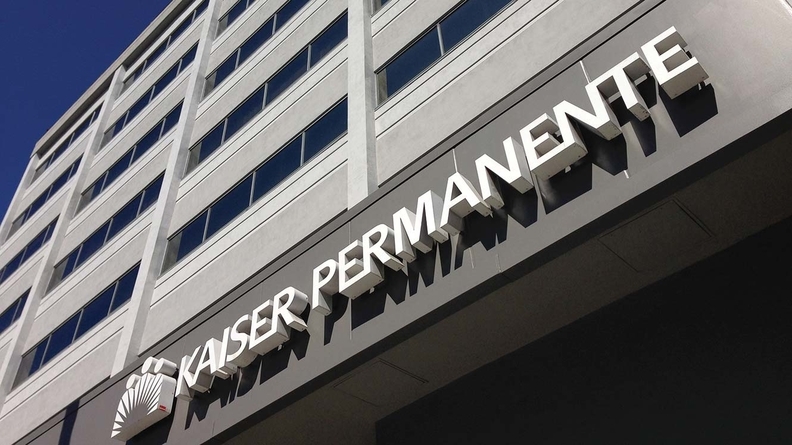 That retention across all lines of business, including commercial and Medicare managed care, allows Kaiser to promote preventative care and head-off avoidable health problems that can cause medical costs to skyrocket, Lancaster said. "A $1 billion quarter is quite remarkable," said Allan Baumgarten, a Minneapolis-based health market analyst who writes reports on managed-care and hospital market conditions in eight states. Kaiser is the nation's largest integrated health system with annual revenue of about $71 billion. The company expects to announce second-quarter results as early as Friday. Lancaster said Kaiser's first quarter is usually the most lucrative from an operating standpoint because Kaiser receives capitated payments for any new members upfront and it usually takes them a few weeks or months to seek medical care. Fully 95% of its 11.7 million members are covered on a capitated basis, meaning that Kaiser is paid a monthly member fee to take care of a patient's full range of healthcare needs. Lancaster said frequent contact with enrollees, many of whom have been with Kaiser for years, allows Kaiser to keep costs in check. For example, Kaiser can track enrollees with chronic conditions to assure they are getting their prescribed check-ups and adhering to medication schedules, she said. Kaiser also intentionally leaves some times open on mammography and other diagnostic equipment at doctor's offices so that an enrollee who comes in for a cold, for instance, but failed to get a mammogram can literally be walked down a hall for the test, Lancaster said. "If we can catch a cancer at stage 1 instead of stage 4, the chances of survival increase and the costs decrease, she said. Kaiser knows how enrollees are progressing health-wise because the company constantly hears from them, Lancaster said. The company's 11.7 million members had 100 million medical encounters with Kaiser clinicians last year, 52% of which were virtual either by email, secure communication portal or telemedicine, CEO Bernard Tyson told a Nashville audience in April. Rather than seeing those encounters as costly, Kaiser views them as crucial to keeping enrollees healthy, Lancaster said. The proof is in Kaiser's medical cost trends vs. the competition. In each of the past three years, Kaiser's expenses have increased under 2% a year, lower than general inflation and less than half that of overall medical inflation. Meanwhile, Kaiser has been growing organically and through acquisition. The Feb. 1 acquisition of Seattle-based Group Health Cooperative added about $709 million in revenue in the first quarter that saw Kaiser report total revenue of $18.1 billion, an 11% gain over the $16.3 billion in the year-earlier quarter. Kaiser's operating margin in the quarter soared to 5.5%, besting a strong 4.3% margin in the year-ago period. Baumgarten said Kaiser has a track record for quality and efficiency. It has a rather unique operating structure. Kaiser's 39 owned hospitals and thousands of Permanente doctors contracted to Kaiser focus almost exclusively on caring for Kaiser managed-care enrollees. It's a closed loop charged with keeping those enrollees healthy and treating them in the most appropriate, low-cost setting. Baumgarten said Kaiser's quality reputation is such that it doesn't have to market itself as a discount brand. In fact, the reverse is true, he said. Premiums for customers, about 80% of which are employers and commercial customers, are pretty comparable to those of for-profit competitors in California, such as Anthem and Aetna. Kaiser delivers good value for its prices, he said. And as a not-for-profit, Kaiser invests substantially in the communities it serves, Baumgarten said. That includes spending not only for medical facilities but for uncompensated care and health-related education and programs, he said. Kaiser expects to spend $3.8 billion this year on hospitals, medical offices and other capital projects, including a 25% cut-out of the expenditures for information technology, Tyson said. "We've seen steady reinvestment by Kaiser over the years," said Baumgarten, whose state market reports have included California.